Photographic representations of the landscape of Queensland were an important part of the promotion of rail travel in the early 1900s. Depictions of agricultural plenty, idyllic landscape scenes and tropical lushness supported the overall government projections of Queensland as productive and climatically ideal for settlement and visiting. 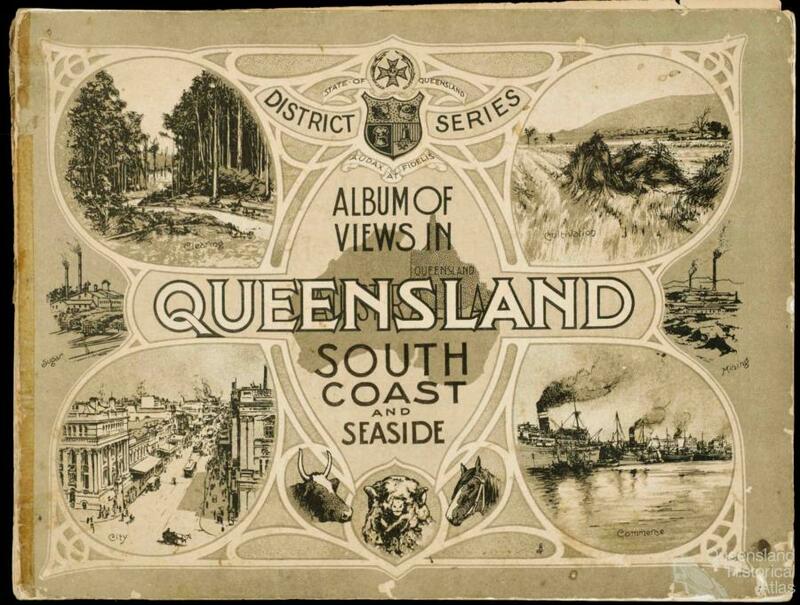 Description: printed booklet, cardboard cover and paper pages showing scenes from Queensland. Map of Queensland showing railway lines on back cover.